One of the most exciting advances in the treatment of lung cancer has come from an understanding of genetic changes in lung cancer cells. Whereas in the past we broke lung cancers down into perhaps five types, we now know that no two lung cancers are the same. If there were 30 people in a room with lung cancer, they would have 30 different and unique types of the disease. If you’ve been recently diagnosed with lung cancer, especially lung adenocarcinoma, your oncologist may have talked to you about genetic testing (otherwise known as molecular profiling or biomarker testing) of your tumor. It's now recommended that all lung cancer patients with advanced or metastatic lung adenocarcinoma (a type of non-small cell lung cancer) have biomarker testing to look for EGFR mutations and ALK and ROS1 rearrangements. In addition, patients with other forms of non-small cell lung cancer (for example, adenosquamous carcinoma in non-smokers) should also be considered for testing. 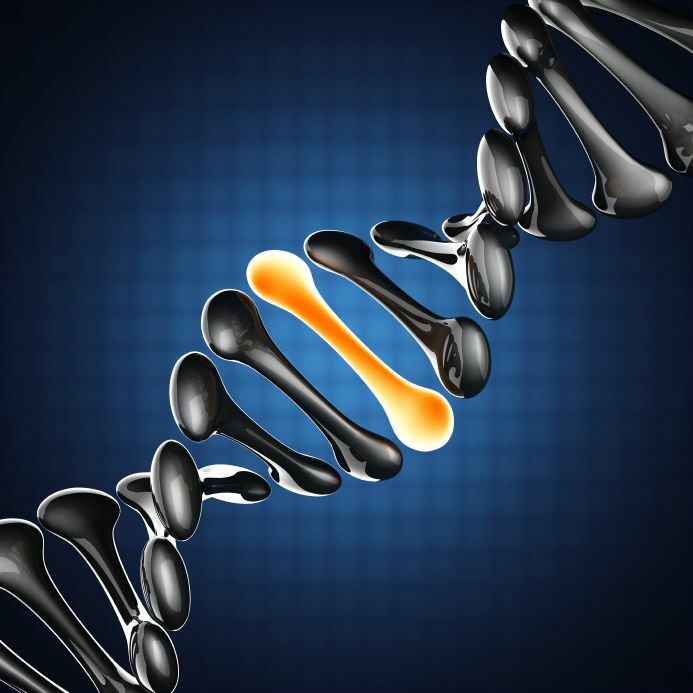 Genetic testing involves tests that a pathologist performs in a lab using a sample of your cancer tissue. These tests look at cancer from a molecular level. The tissue may come from a biopsy of your tumor or from tissue removed during surgery for lung cancer. The reason behind this is that cancers have gene mutations and other changes that "drive" or control the growth of cancer. Simplistically, if these mutations can be identified, then treatments can be used which "target" these mutations, hence stopping the growth of cancer. It is these mutations that lead to the development of cancer in the first place. Hereditary mutations. Also called germline mutations, this means you inherit genes with mutations from one or more parents. Common examples of these mutations include hemophilia as well as mutations that may predispose someone to developing breast cancer, like BRCA1 and BRCA2. Acquired mutations. The type of mutations that scientists actually look for in people with lung cancer is called acquired mutations, or somatic mutation). These mutations are not present at birth (and do not run in families), but rather develop in the process of cells becoming cancerous. Gene mutations are changes to a particular gene in a chromosome. All genes are made up of variable sequences of four amino acids (called bases)—adenine, tyrosine, cytosine, and guanine. When a gene is exposed to toxins in the environment, or when an accident occurs in cell division, a mutation, or change, may occur. In some cases, it may mean that one base is substituted for another, like adenine instead of guanine. In other cases, bases may be inserted, deleted, or rearranged in some way. Driver mutations. These mutations, via several mechanisms, “drive” the growth of a tumor. In lung cancer, the number of driver mutations is variable. In one study, an average of 11 driver mutations per cancer was found. Passenger mutations. Just as someone may be a passenger in a car, these genes do not drive cancer, but are basically along for the ride. Again, we don’t know exactly how many passenger mutations are present in a tumor (and the number varies from tumor to tumor), but some tumors may have more than 1,000 of these mutations. Driver mutations not only initiate the development of cancer, but work to maintain the growth of cancer as well. There are many mutations that are being studied by scientists looking at lung tumors. So far, driver mutations have been identified in approximately 60 percent of lung adenocarcinomas and it's likely this number will increase in time. The use of "targeted therapies," medications that target particular genetic abnormalities in a tumor, has been coined personalized medicine or precision medicine. What this means is that, rather than a conventional chemotherapy drug that attacks all rapidly dividing cells, a targeted drug attacks a particular abnormality present only in your cancer cells. Other medications have been approved and are being studied in clinical trials, including targeted therapies for those whose tumor becomes resistant to Tarceva or Xalkori. A challenging problem with currently used targeted treatments is that nearly everyone inevitably becomes resistant to treatments we have. There are many mechanisms by which this occurs making it difficult to find one solution. Research is ongoing in clinical trials—evaluating both the use of substituting a second drug to target the mutations and drugs that use different targets or mechanisms to attack the cancer cell. Testing for gene mutations and rearrangements is usually performed on tissue samples obtained from some form of lung biopsy or biopsy of a metastasis. As of June 2016, however, a liquid biopsy test is now available as a method of testing for EGFR mutations in some people. Since these tests can be done with a simple blood draw, this is an exciting advance in monitoring lung cancer. The ability to understand the molecular profile of lung tumors is an extremely exciting area of research, and it’s likely that new treatments for other mutations will soon be available. An example of how rapidly this area of medicine is advancing is the ALK4-EML gene rearrangement. This gene "mutation" (actually a rearrangement) was discovered as recently as 2007. Through a rapid process, the medication Xalkori (crizotinib) was approved in 2011 for general use by the FDA for those patients whose tumors have this rearrangement. There are clinical trials currently in progress evaluating the use of second-generation drugs for those who have become resistant to Xalkori. If you have been diagnosed with non-small cell lung cancer, especially lung adenocarcinoma or squamous cell lung cancer, talk to your doctor about genetic testing. Although testing is now recommended for everyone with advanced non-small cell lung cancer, a recent study reported that only 60 percent of oncologists are currently ordering testing. You may also wish to talk to your doctor about clinical trials that may be an option for you. Recently, a lung cancer clinical trial matching service backed by several lung cancer organizations has become available, too. With this free service, a trained nurse navigator can help you locate any clinical trials that may be an option for you. Hensing, T., Chawla, A., Batra, R., and R. Salgia. A personalized treatment for lung cancer: molecular pathways, targeted therapies, and genomic characterization. Advances in Experimental Medicine and Biology. 2014. 799:85-117. Kim, H., Mitsudomi, T., Soo, R., and B. Cho. Personalized therapy on the horizon for squamous cell carcinoma of the lung. Lung Cancer. 2013. 80(3):249-55. Li, T., Kung, H., Mack, P., and D. Gandara. Genotyping and genomic profiling of non-small-cell lung cancer: implications for current and future therapies. Journal of Clinical Oncology. 2013. 31(8):1039-49. Villaruz, L., Burns, T., Ramfidis, V., and M. Socinski. Personalizing therapy in advanced non-small cell lung cancer. Seminars in Respiratory and Critical Care Medicine. 2013. 34(6):822-36.